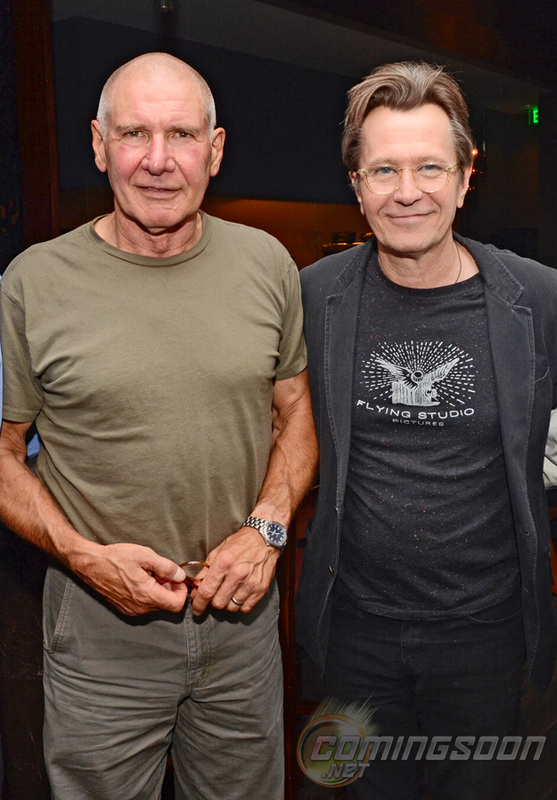 Here's a photo of Harrison Ford and and Gary Oldman giving us our first peek at the look they will be sporting in their new thriller Paranoia, which is currently shooting in Philadelphia, Pennsylvania. As you can see, Ford got rid of his hair for the part. The movie is being directed by Robert Luketic and also stars Liam Hemsworth, Lucas Till, Amber Heard, Embeth Davidtz, Julian McMahon, and Richard Dreyfuss. The film is set to hit theaters on September 27th, 2013, and it sounds like it should be a good movie! What do you think of Ford's new look for the film? What other movies has Ford gone bald for?